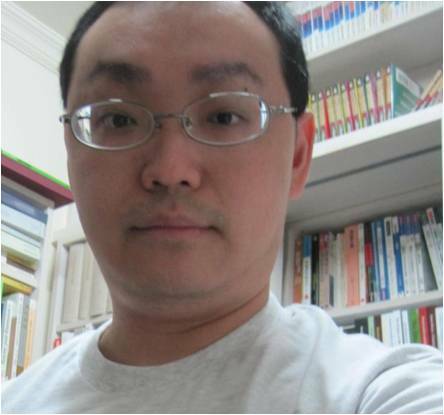 He is an Associate Professor at the Department of Sociology, National Sun Yat-sen University, Taiwan. His current research interests include social theory (especially the Marxian tradition and the relationship between evolutionary theory and social theorizing), philosophy of social science (especially systems thinking, the question of emergence, and the project of “analytical sociology”), political sociology (especially the democratic innovations in Taiwan and Latin America), and translation studies (especially translation in the social sciences). He is the author of Reframing the Social: Emergentist Systemism and Social Theory (Ashgate, 2011), which systematically examines the implications of Mario Bunge’s philosophical system for social research. He has published widely on philosophy of social science, social theory, and political philosophy both in English and in Chinese, and has also translated a number of major works into traditional Chinese, including Robert Went’s Globalization, Slavoj Žižek’s The Ticklish Subject, Alex Callinicos’ Making History, Richard Sennett’s The Fall of Public Man, and Andrew Sayer’s The Moral Significance of Class. He has been honored with two important research awards in Taiwan: Dr. Wu Ta-yu’s Award for Young Scholars (2011) and Academia Sinica Research Award for Junior Research Investigators (2013). With the rise of the “ontological turn” in social science in recent years, I believe my research on the ontological dimensions of emergence and my arguments for a critical realist and systemist social ontology are in the right direction. While I am convinced that no meta-theoretical explorations can replace empirical research, a minimum understanding of such issues as the levels of organization, the diachronic and synchronic aspects of emergence, and the “individualism-holism-systemism trilemma” (to borrow Mario Bunge’s term) is essential for practicing social researchers. As a social theorist with empirical and methodological concerns, I insist that the task of social theorizing not be isolated from other disciplines. After all, “the social” itself is not discipline-specific, and a number of issues seemingly unique to social research (e.g., the micro-macro link and the “individualism-holism-systemism trilemma”) are in fact inherent in the natural sciences. Particularly, social theory has to take close heed of philosophy of (social) science and the best works of practicing social scientists. Only in this way is it possible to articulate a theoretically robust and empirically justified social ontology that is conducive to — not secluded from — substantive social research. Is there an author/thinker, whose work inspires you in your own work? Mario Bunge’s voluminous works come to my mind rapidly. Bunge’s influence is considerable in Latin America, where his works have been taken seriously by systems scientists and social researchers. In Europe, scholars in German-speaking academic communities have also begun to compare Niklas Luhmann’s systems theory with Bunge’s emergentist systemism (as I call it). In English-speaking social sciences (especially social theory), however, Bunge’s contribution has been less comprehensively explored, utilized and evaluated. Therefore, one of the aims of my monograph Reframing the Social and my other works has been to fill in this theoretical gap. Besides Bunge, I have also been deeply influenced by critical realism (e.g., the works of Roy Bhaskar and Rom Harré) and the Marxian tradition (especially Classical Marxism). What fascinates you about Emergence in social systems theories and social science: clarifications and applications? In your own words: Why should people go there? This will be a good opportunity for constructive dialogues between social theorists, philosophers of social science and practicing social scientists who take an interest in the ontological/epistemological/methodological implications of emergence. Systems theorists, critical realists, and analytical sociologists (to name but a few) are all welcome. We hope to see you there!